Quick and easy to use. Drill through the work, insert the anchor and tighten. 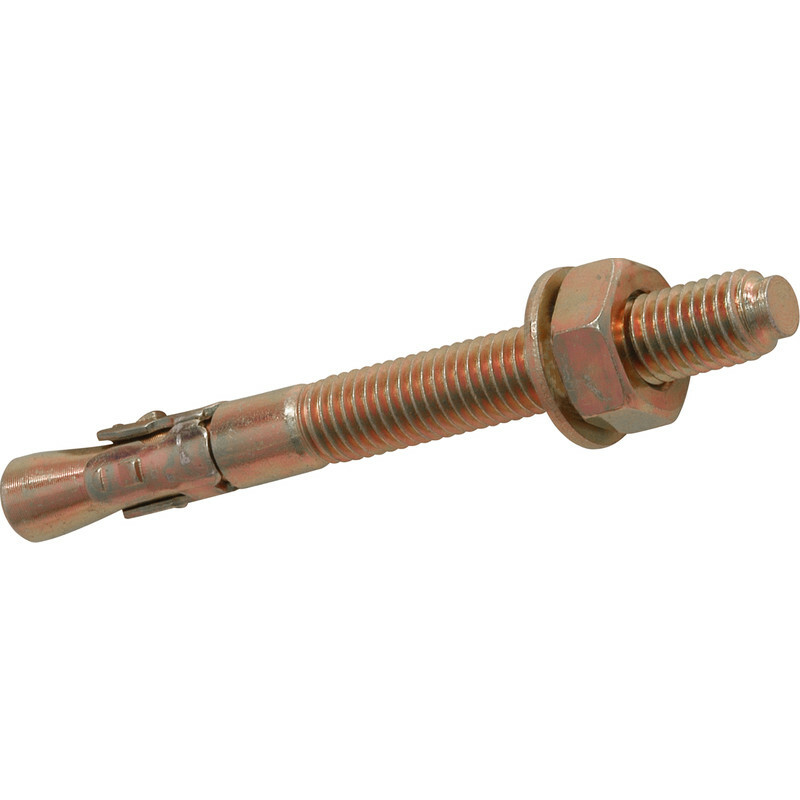 Through Bolt M16 x 180mm (5 Pack) is rated 4.8 out of 5 by 18. Rated 4 out of 5 by JohnV from Decent quality Bought these for fixing hinge plates to gate pillars. Worked well, allowing drilling with plates in place. Rated 5 out of 5 by RichOneHessle from Excellent Quality and Value Used these bolts to fix a timber to my house wall for the roofing support. Rated 5 out of 5 by Dicky J from Through bolts. Excellent service and top notch goods! Rated 5 out of 5 by Squadran from Does what it says on the box These items work perfectly well. Rated 5 out of 5 by dslerjrhekf from No need to unmount These through bolts are great because you don't need to remove the item to be fixed after drilling. Use a single bolt to fix in position then just drill and hammer/tighten the additional bolts as required. Make sure there are no voids in the wall/masonry you are fixing to. Drill the holes deep enough so if you want to remove the fixed item later on, you can just hammer the bolts into the wall, flush.